State law requires tire retailers to accept your old tires at the time you purchase new ones (usually for a small fee). This is the best way to dispose of used tires. You may also drop off tires at these recycling locations for a small fee. 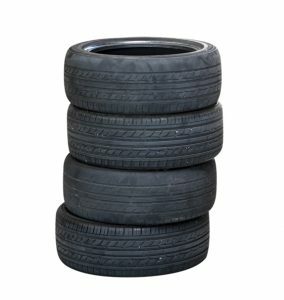 Shredded or quartered tires are also recycled rather than landfilled. List provided by the Iowa DNR. Call 515-281-8489 for more information.